We’ve known for a while that Josh Duhamel and his wife Fergie are having their first baby together. The couple announced the pregnancy all the way back in February and even accompanied the announcement with a super cute photoshopped image of the two as kids. However, this week Duhamel revealed the hot fact fans of the couple have been dying to know. Duhamel and Fergie are having a baby boy. The couple, like any couple, are super pumped about having a child, but the fact that they are getting close to a due date is even more exciting since the famous names actually tried to have a baby for a while before achieving success. The news was actually revealed on LIVE with Kelly and Michael in a taped episode that is set to air on Wednesday. Cleverly, Kelly pulled out a pink onesie and a blue onesie and asked Duhamel to choose the one revealing his soon-to-be little tyke’s gender. After riling up the audience, the actor clearly chose the blue onesie. Fergie and Duhamel have been busy planning for the baby over the last few months, prepping for the new child to head home and even trying to come to decisions about how the two will work out their busy schedules to spend time with their kid. The 40-year-old actor recently told People they hope to have a fluid schedule worked out. Duhamel and Fergie’s baby boy is due in late August or early September, but we may have to wait until the baby is born to find out what sort of name the couple has in store for their little bundle of joy. Duhamel recently took to Twitter to promise the kid's name won’t be too weird. 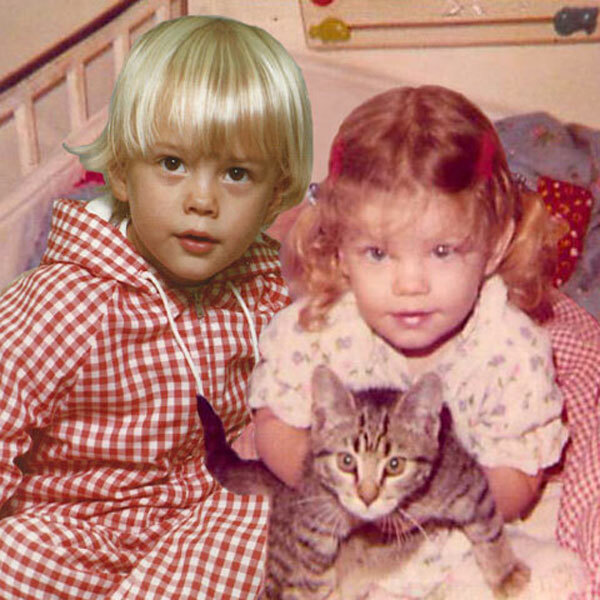 "@apldeap: My sis @fergie & @joshduhamel will have a baby boy. #babypea" Thanks! We aren't naming him after a legume or a fruit! Love ya Ap. Obviously, you can’t have a story about a baby without a cute photo of a child present, so I’ll just leave you with the gem that Fergie posted to her Twitter account some months back.